Learning how to clean earrings can save money by keeping costume jewelry looking as good as new and by avoiding the cost of having fine jewelry professionally cleaned. For pierced ears, the hygiene factor is also very important, protecting your ears from infection, especially in newly pierced ears. This guide to cleaning your earrings is divided into two sections, the first dealing with how to clean fine jewelry and the second, costume jewelry. All the information supplied can be used for cleaning other jewelry pieces too. 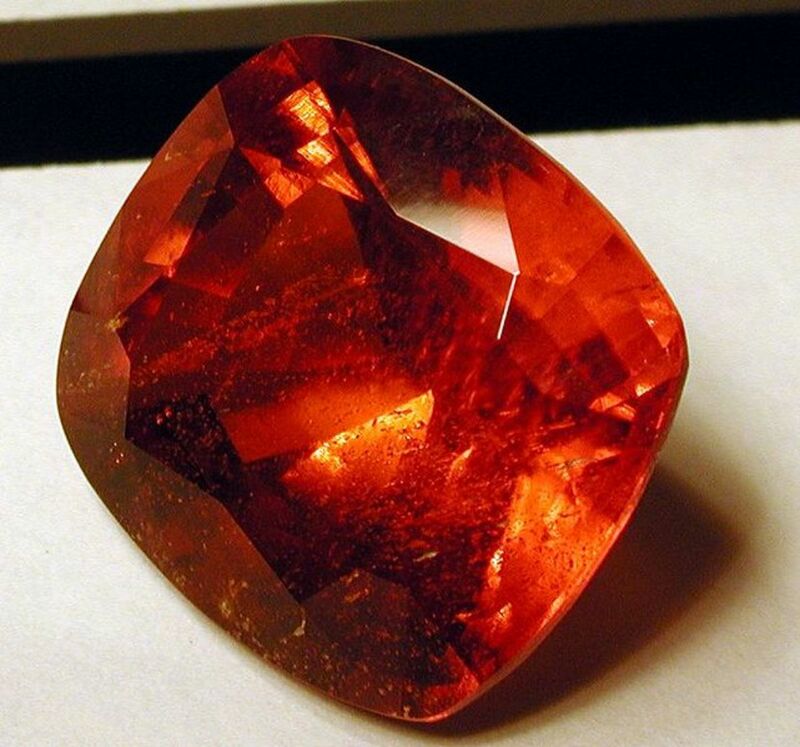 Hair styling products and sprays, perfume and cosmetics can all leave a fine film on the surface of gemstones. 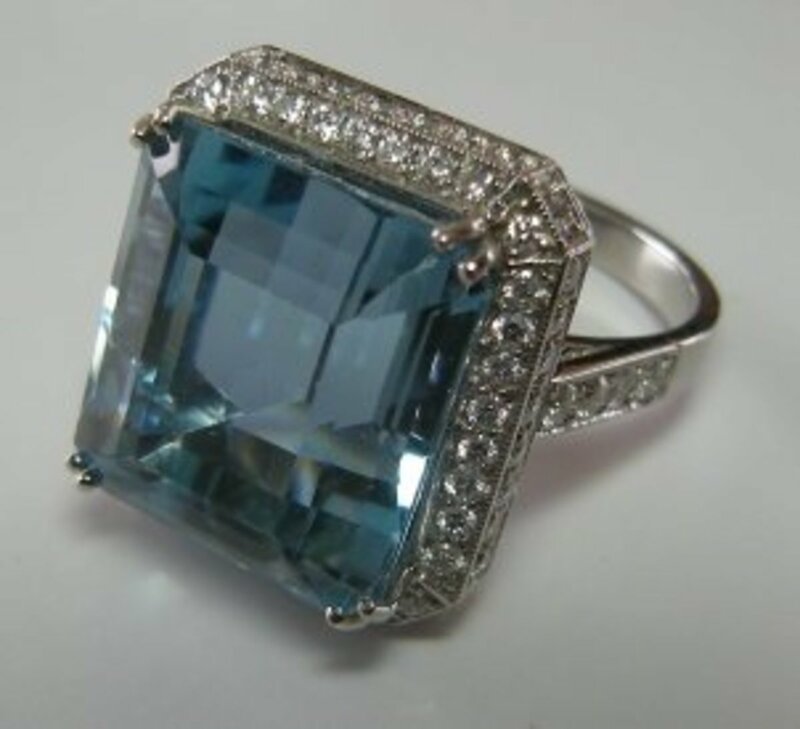 Examine the setting every time you clean to avoid losing precious stones. 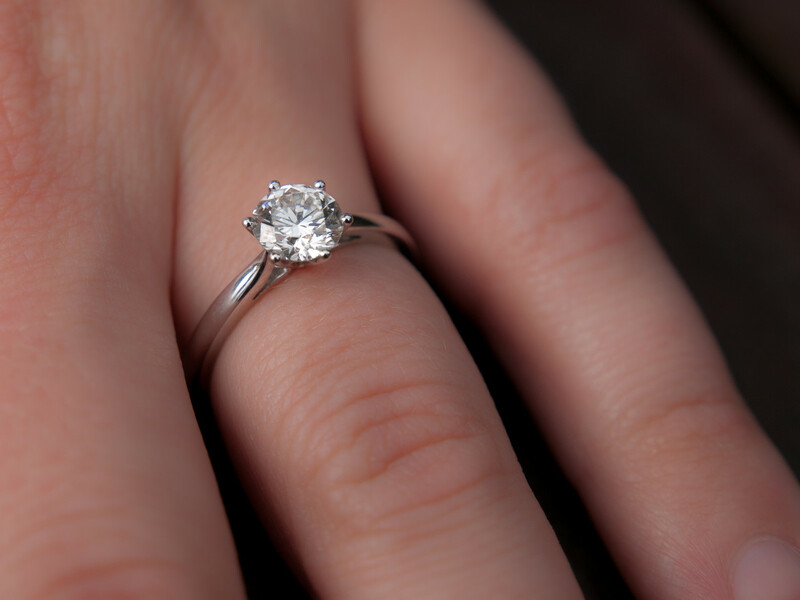 Any loose stones or damaged claws will be cheaper to re-set or have the points restored than replacing the lost stone. If your earrings contain gemstones, or semi precious stones, refer to the guide Table and Notes sections below. 2. A bowl containing either plain warm (not hot) water or water with a small amount of detergent free liquid soap. 3. A soft lint-free cloth for polishing and drying. 4. A hairdryer (optional but useful for drying intricate earrings provided you use it on a cool heat setting as some stones can be damaged by heat). Gently brush the surface of the earring or use the cloth if indicated in the notes below. 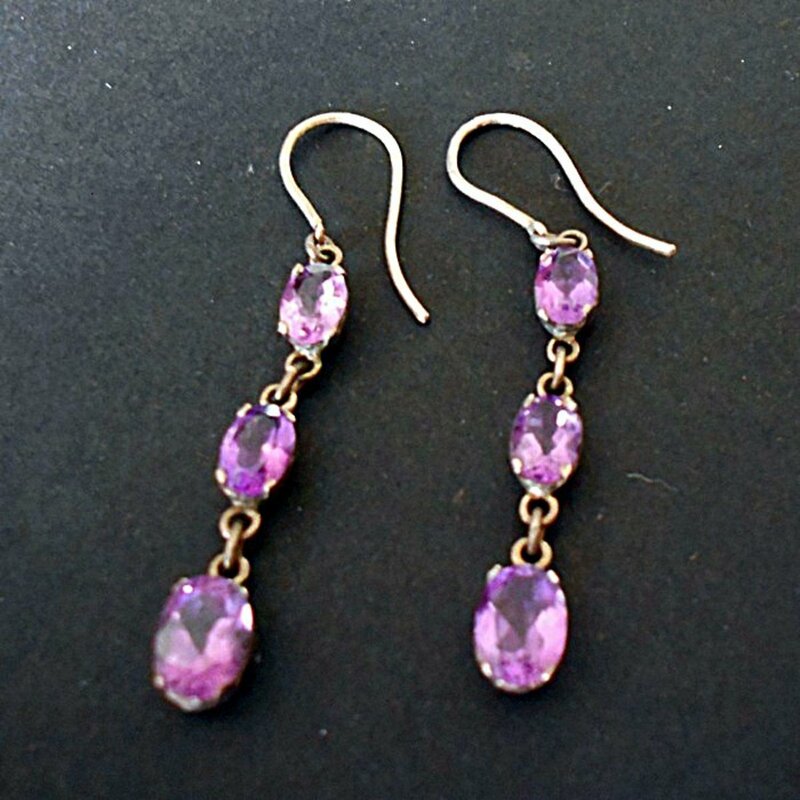 If you have used a soap solution, use a soft cloth wrung out in fresh clean water to rinse the earrings before drying. Some stones get a film on them if soap residue is left on. Dry using a clean lint free cloth or your hairdryer. The table above provides a guide for cleaning the most common Gemstones in jewelry - I have included pearls and coral in this section too. Amber must never be immersed in water - to clean, use a well wrung-out lint-free cloth to wipe the surface and then dry immediately. Restore shine to amber by rubbing with your fingertip dipped in sweet almond oil before polishing with a soft, clean cloth. Coral should only be lightly wiped with a soft damp cloth, do not immerse coral in water. Turquoise should not be immersed in water, wipe clean with a damp cloth only. 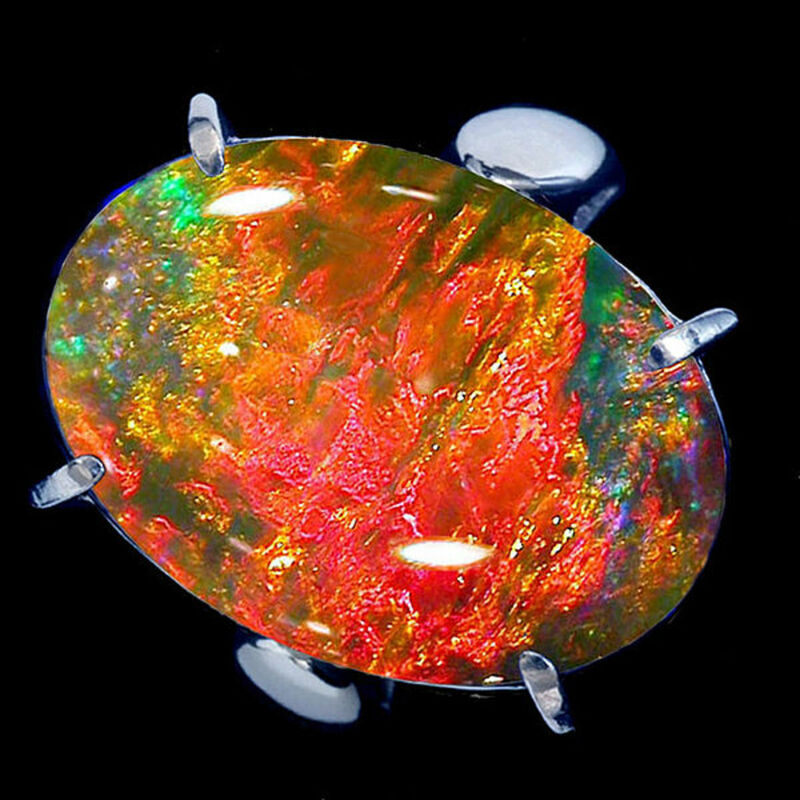 Opals are best cleaned without wetting by using a piece of silk. If you do use water, or soapy water, avoid soaking and just clean with a damp cloth. 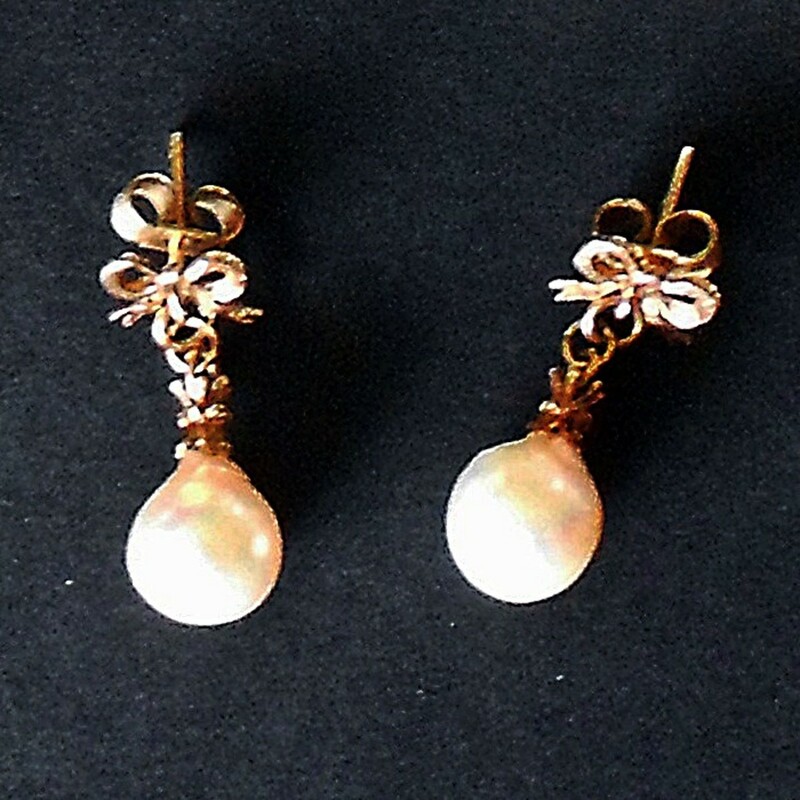 Pearls must not be soaked or exposed to acid or alkaline cleaners. Wipe pearls with a soft damp cloth when you take them off. When storing your pearls, remember that their surface is soft and can be damaged by gemstones or metal. Ideally store them in their own jewelry pouch and, like opals, they should never be stored in an airtight container, they need to breathe! Never use chemical cleaners on pearls, or the semi-precious stones opals, coral, turquoise, lapis lazuli or malachite. Ultrasonic cleaners are very popular as a way of cleaning precious metals without gemstones. They are also suitable for cleaning some gemstone set earrings (but please see the exclusion list and the table above as a guide for which stones should not be cleaned in this way). 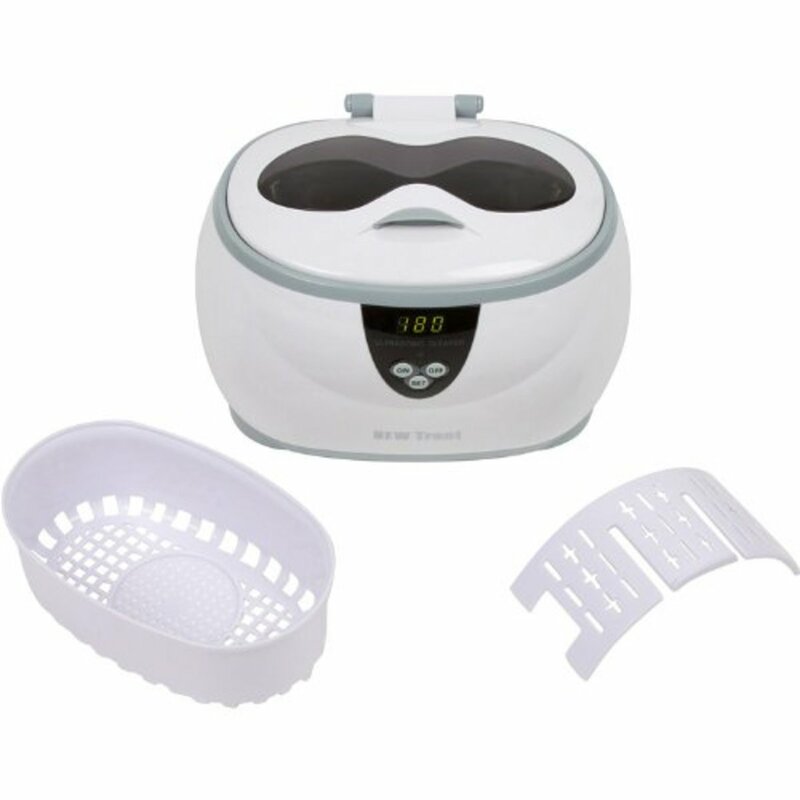 An ultrasonic machine sets up vibrations that are brilliant at loosening tiny particles of dirt but which may also loosen stones in their settings, so keep a careful eye on these if you use this type of cleaner. For more precious earrings, get the stones checked at least once a year to ensure they are secure. Ultrasonic Jewelry Cleaning Dos and Do Nots! Use an ultrasonic cleaner for all created gemstones EXCEPT Emeralds. Use an Ultrasonic jewelry cleaning machine for earrings containing amber, coral, kunzite, lapis lazuli, opal, turquoise, pearls or emeralds. 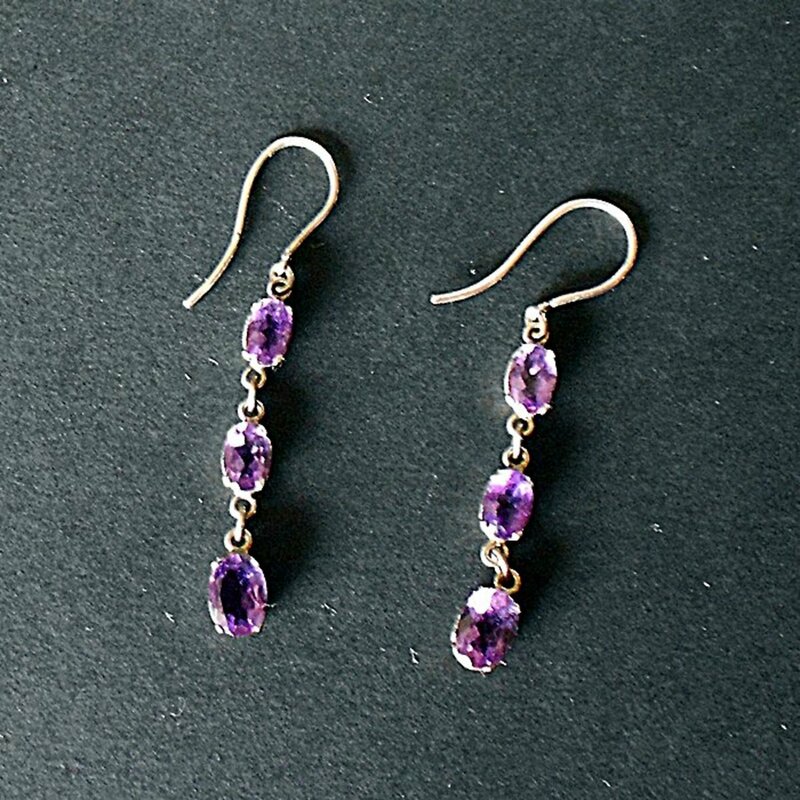 If your earrings have no stones, use a silver polish on a soft cloth or soft bristled brush. This will remove tarnish and tiny particles of dirt. 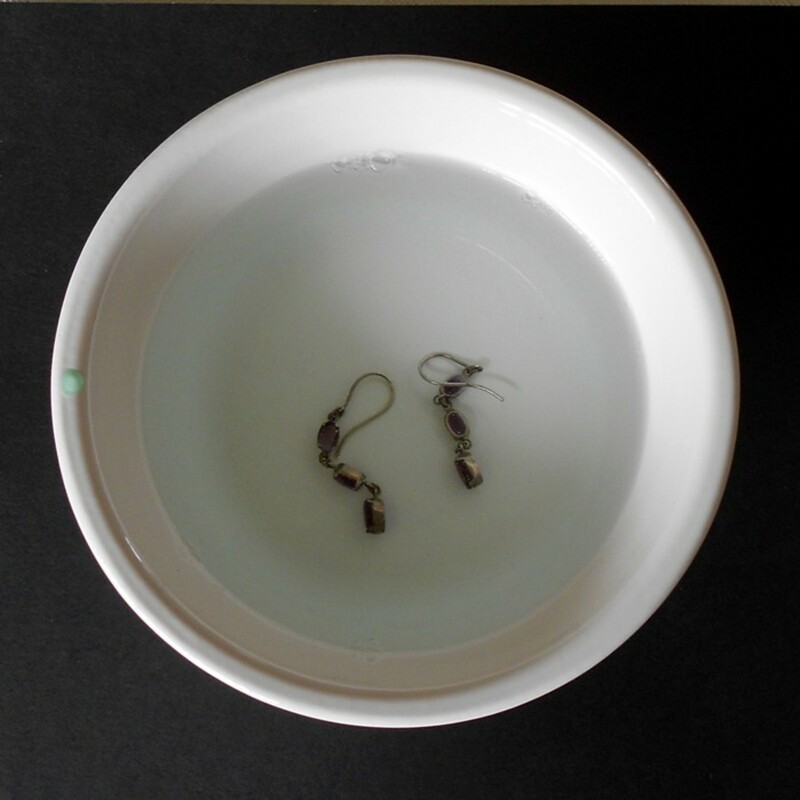 Never use any harsh jewelry cleaning solutions or expose silver jewelry to chorine (so it's not a good idea to wear your earrings when swimming). Windex makes a great cleaner for sterling silver jewelry and can be applied on the bristles of a soft brush. After cleaning via either method, rinse in warm water before drying. A special silver polishing cloth can really restore a lovely shine once more. To keep your silver earrings shiny, wipe them gently with a soft cloth after wearing and store them inside an earring box or jewelry pouch so they are kept separate from other metals in your jewelry box. This is very easy to clean and take care of. Just use a solution of warm water and detergent free liquid soap. With earrings, a small, soft bristled brush is ideal to gently brush the surface of the earring before rinsing in warm water and drying, either with a soft cloth or with a cool hairdryer. Remember that the higher the karat of your gold, the purer and softer it will be. 9k gold (often also stamped 375 is the lowest and therefore the hardest. The higher the karat, and therefore the purer the gold, will mean it is more expensive and softer, so to protect your gold earrings from damage store them in earring boxes or soft jewelry pouches. Clean platinum earrings in the same way as gold above or soak them in mild jewelry cleaner if there are no gemstones in the design. Treat gently with a little liquid soap in warm water and a very soft bristled brush. You can polish them after rinsing and drying. 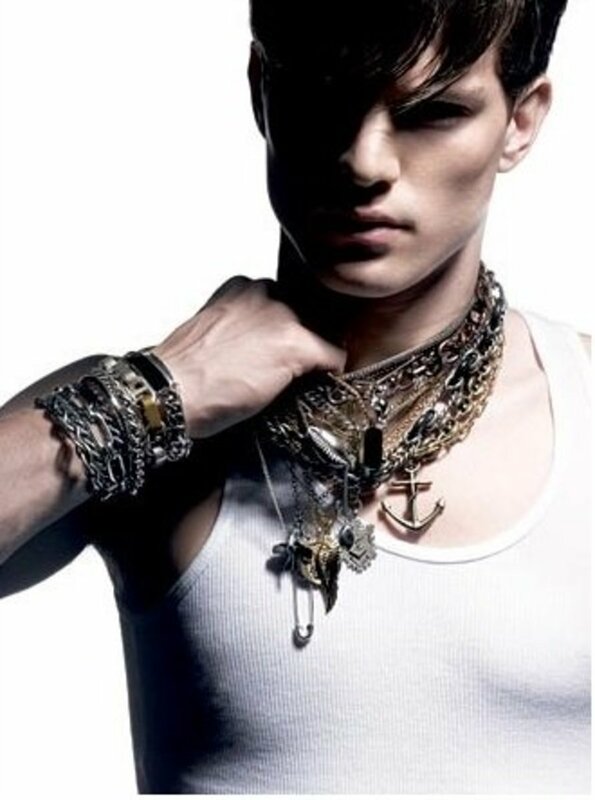 Use the appropriate cloth for the metal plating but be very gentle to avoid wearing away the surface. Always wipe each earring with a soft cloth after wearing. Cotton cloths are best for this purpose. Do not use paper tissues as these can leave scratches on the surface. 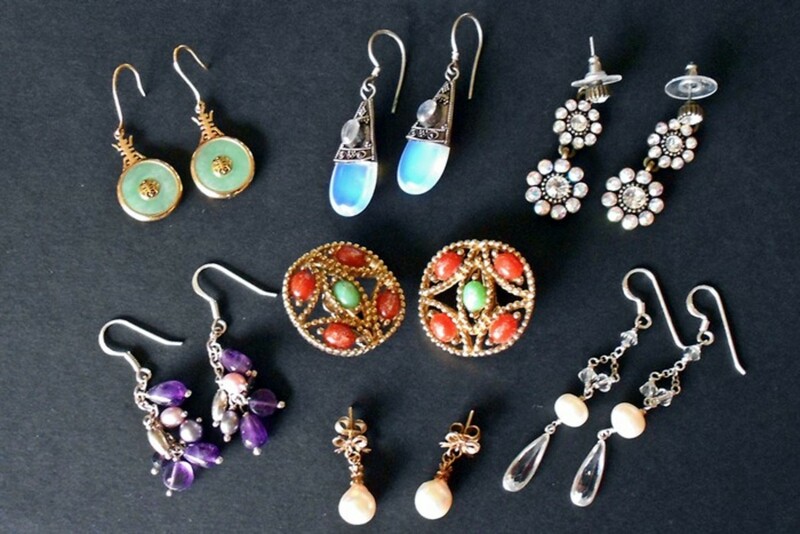 Store each pair of earrings separately from other pieces of jewelry so that they do not get scratched. Always apply your makeup, perfume and hairspray before putting on your earrings. Take earrings out before swimming or using a hot tub. Chlorine and other chemicals in the water can damage metals (including gold) and some gem stones and this is particularly the case when the water is heated as in a hot tub or jacuzzi. Sea water can also damage jewelry. Store your earrings away from direct sunlight if you like to have them on display and protect them from extremes of temperature. Take earrings out before exercising or wipe them clean afterwards to remove perspiration which can tarnish and damage them. The first rule of cleaning costume jewelry is to be very gentle and avoid using any ammonia or vinegar. Soap should also be avoided so the best cleaner is simply water. However, you should not immerse any costume jewelry earrings that have stones because water could weaken the adhesive fixing the stones in place. Ensure you clean the wires or posts of your earrings (if they are designed for pierced ears) after each wearing. A simple wipe with a soft damp cloth followed by drying immediately will suffice. If your earrings are clip on, clean the surface that has been in contact with your ears as above. 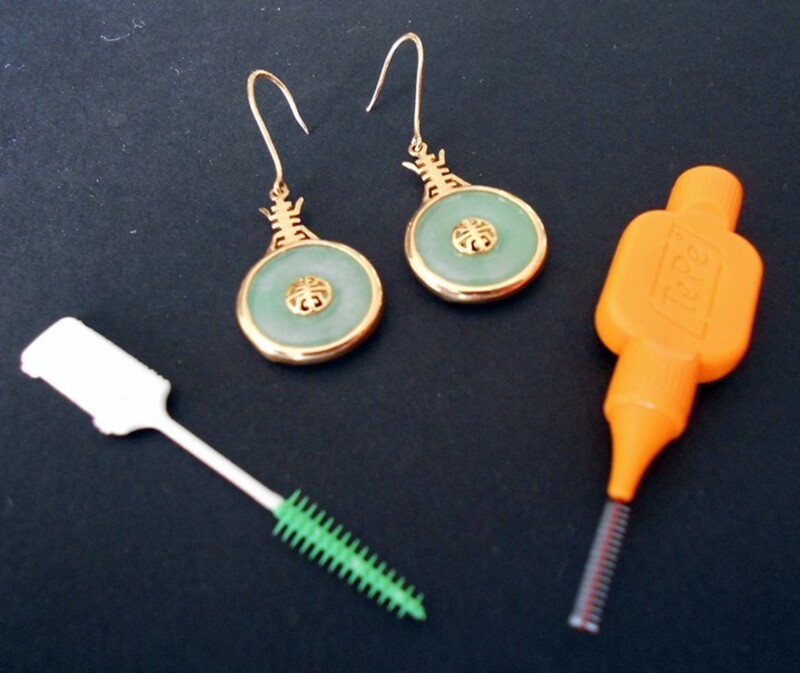 Clean your earrings regularly, using plain water and a soft brush or cloth. Avoid wetting the earrings any more than is absolutely necessary. Dry your earrings immediately after cleaning and make sure they are completely dry before you put them away. Often the easiest way to dry them is by using a hairdryer set on a very cool setting. Hold onto them to ensure they don't blow away! 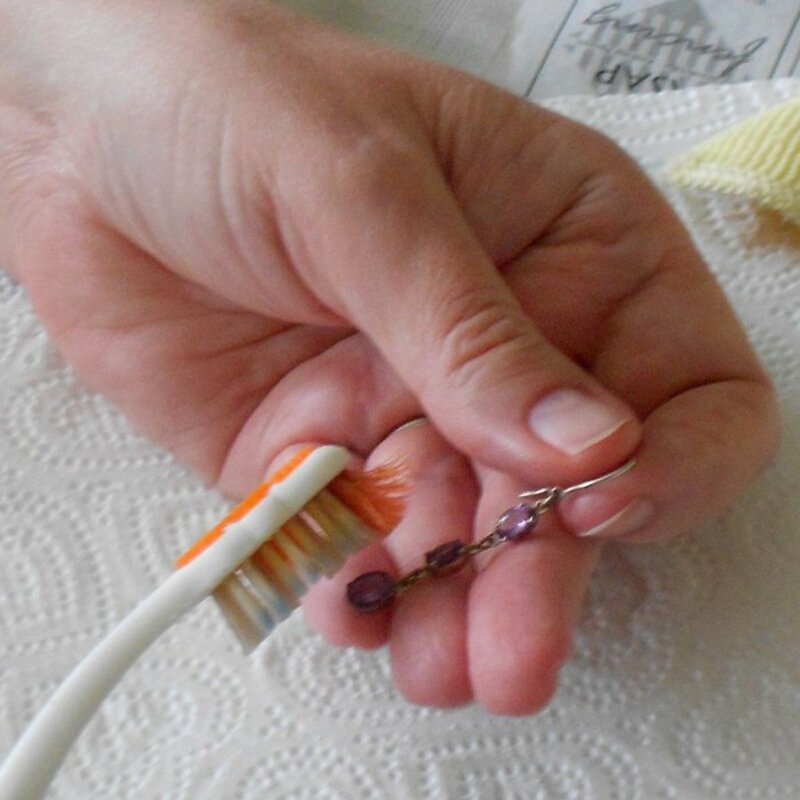 I hope you have found this roundup of how to clean earrings of all types useful. It is as complete as I could make it - but if you have tips for cleaning stones or metals that I have not mentioned, please leave a comment below. Finally, while I have researched all the information carefully, you should always consult a professional jeweler before attempting to clean precious pieces yourself as the information I have provided is for guidance only and should not replace professional advice for ensuring that cleaning your earrings is done safely and without any possibility of damage to the metal, stones or settings. I keep saying that I am going to get my ears pierced so I can wear some earrings. Once I finally take the plunge, it's good to know that I'll know how to clean them, too. Voted up! Thank you for the vote up and share Lee. This was one hub I really enjoyed researching and had not realized that some gemstones are porous and should not be immersed in water - so I learned some very useful information for cleaning my own jewelry! Invaluable information here; thanks for assembling it and bringing it to our attention. I found the table you've provided for the cleaning of various stones and settings particularly helpful.